Finally St. Thomas has a serious Dueling Piano bar. And we mean serious. Buried in Havensight, (that little village of shops you are funneled through when you leave your cruise ship), across the lot from the Tiki bar is a brand new night-time club that is the first of it's kind in St. Thomas. 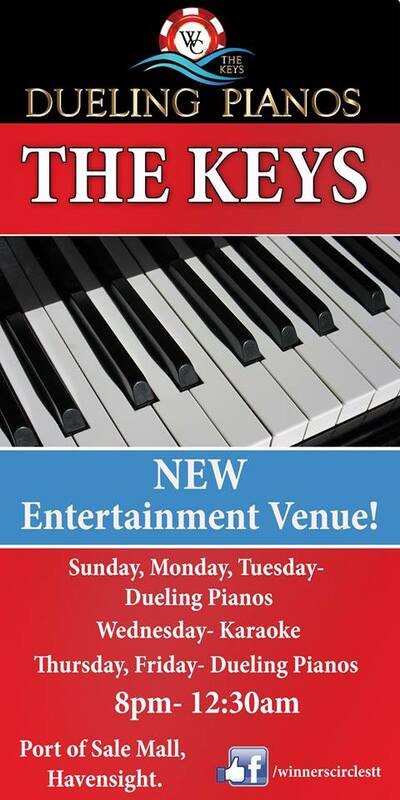 Offering dueling pianos 5 nights every week, this club is doing it right. With a massive 35,000 Watt sound system inherited from the dance club that had been in the space with previous owners, 2 polished white 5 foot grand pianos and tiered cabaret seating, the stage is set for a perfect night of dueling. 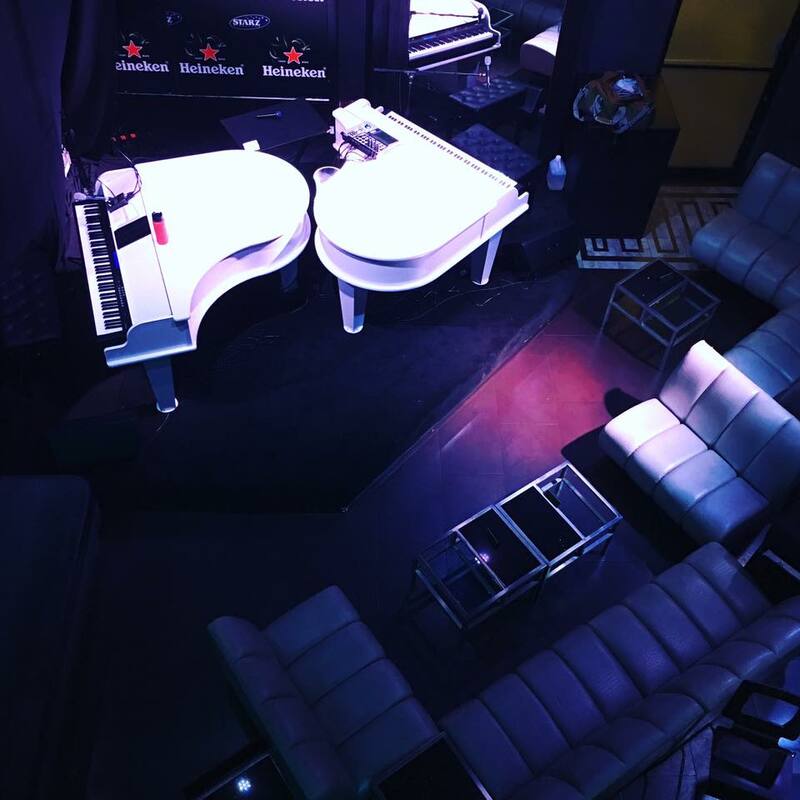 Add on the top dueling piano talent in the country (we know this for a fact because we got to peek at the schedule), flown in on a rotating basis and this club is poised to be the hottest nightlife offering on the island. Monday November 14, 2016 was the first night of the dueling show, featuring duelers from NYC and Nashville, and from everything we heard, it was a smash hit. The players rocked it out from 8am - 12pm with everything from Billy Joel standards, 90's hip hop, 70's R&B and 80's hairband music. We heard some Uptown Funk and some T-Swift, keeping it real for the younger set. Audience ranged from mid-20's to mid 50's that night. The dueling piano bar is attached to another bar owned by the same people called Winner's Circle, which has slots and video table games. So some of you can gamble while the others are getting crazy with the pianos. Currently shows are running from 8 - 12 every Sunday, Monday, Tuesday, Thurs, and Friday. On Weds and Saturdays there will be karaoke, or jazz, but we expect that may change as high-season swings into full gear to a 7-night per week dueling venue. Stayed tuned!